Tom Shipton - This is your life! 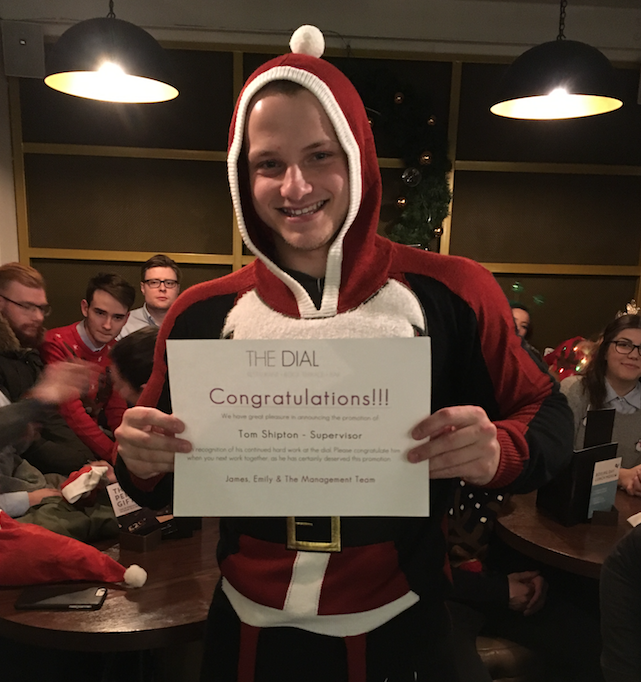 Tom (or Shippo as he is known round here) began his journey at The Dial in May 2014, starting off working in the restaurant and more recently moving onto the bar. He was promoted to the position of supervisor on the 12th of November after a lot of hard work and great service. We are all very much looking forward to having our newly promoted supervisor back at Christmas! So if you’re in around Christmas time, say hello & congratulations!